When her chronically unemployed husband runs off to start a crocodile farm in Kenya with his mistress, Joséphine Cortès is left in an unhappy state of affairs. The mother of two—confident, beautiful teenage Hortense and shy, babyish Zoé—is forced to maintain a stable family life while making ends meet on her meager salary as a medieval history scholar. Meanwhile, Joséphine’s charismatic sister Iris seems to have it all—a wealthy husband, gorgeous looks, and a très chic Paris address—but she dreams of bringing meaning back into her life. When Iris charms a famous publisher into offering her a lucrative deal for a twelfth-century romance, she offers her sister a deal of her own: Joséphine will write the novel and pocket all the proceeds, but the book will be published under Iris’s name. All is well—that is, until the book becomes the literary sensation of the season. Katherine Pancol is one of France’s best-known contemporary authors, with millions of copies of her books in print in thirty languages. She lives in Paris. "Lucky you! You're about to succumb to France's most irresistible writer! At the end of this delicious, tender, funny, heartwarming novel, you'll feel as if Iris and Joséphine are part of your family." 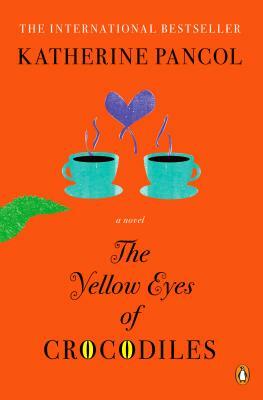 "Pancol deftly manages the constellation of characters in a cleareyed, warmly funny tale." "Riveting . . . Delicious morsels involving every family member compel attention in a title that will appeal to fans of Marian Keyes and Olivia Goldsmith."